Palace of Versailles and Musee Rodin will appeal to museum buffs. Your inner history buff will appreciate Champs-Elysees and Montmartre. There's lots more to do: steep yourself in history at Eiffel Tower, wander the streets of Latin Quarter, don't miss a visit to Basilique du Sacre-Coeur de Montmartre, and stroll through Île de la Cité. To see more things to do, other places to visit, where to stay, and tourist information, go to the Paris trip itinerary maker site . If you are flying in from United States, the closest major airports are Paris-Orly Airport, Charles de Gaulle International Airport and Paris Beauvais Tillé Airport. December in Paris sees daily highs of 47°F and lows of 37°F at night. Finish your sightseeing early on the 1st (Tue) so you can take a train to Bayeux. 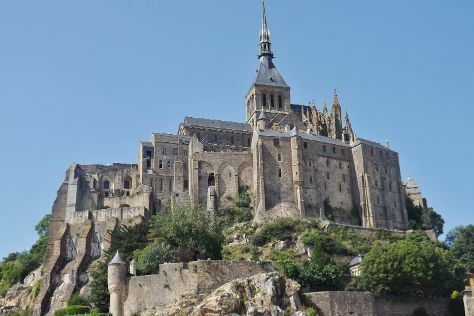 Get ready for a full day of sightseeing on the 2nd (Wed): look for gifts at Fantastic Attic and then make a trip to Mont Saint-Michel. You can plan Bayeux trip in no time by asking Inspirock to help create your itinerary. Getting from Paris to Bayeux by train takes about 2.5 hours. Other options: drive; or do a combination of bus and train. In January, daytime highs in Bayeux are 47°F, while nighttime lows are 36°F. Finish your sightseeing early on the 3rd (Thu) to allow enough time to travel to Nice. 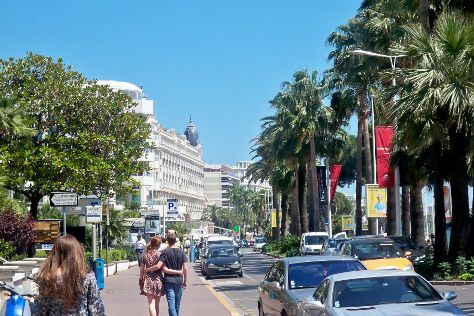 Kick off your visit on the 4th (Fri): wander the streets of La Croisette and then take a stroll through Rue d'Antibes. 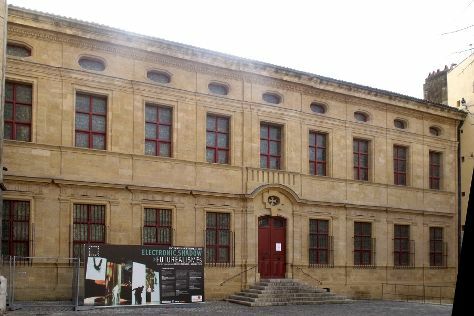 Keep things going the next day: take in the architecture and atmosphere at Cathedrale Saint-Nicolas, admire the masterpieces at Museum of Modern and Contemporary Art, and then see the interesting displays at Musée Marc Chagall. To see reviews, other places to visit, photos, and tourist information, refer to the Nice trip builder . Do a combination of train and flight from Bayeux to Nice in 4.5 hours. Alternatively, you can do a combination of train and flight; or drive. Expect somewhat warmer temperatures when traveling from Bayeux in January; daily highs in Nice reach 56°F and lows reach 43°F. Wrap up your sightseeing on the 5th (Sat) early enough to drive to Aix-en-Provence. Start off your visit on the 6th (Sun): make a trip to Cours Mirabeau, examine the collection at Granet Museum, then take in the spiritual surroundings of Basilique Notre-Dame de la Garde, and finally look for gifts at 72% Petanque. On the next day, explore the striking landscape at Calanques and then explore the world behind art at Museum of European and Mediterranean Civilisations. To see photos, traveler tips, more things to do, and other tourist information, go to the Aix-en-Provence driving holiday planner. You can drive from Nice to Aix-en-Provence in 2 hours. Alternatively, you can take a bus; or do a combination of train and bus. January in Aix-en-Provence sees daily highs of 53°F and lows of 39°F at night. Finish your sightseeing early on the 7th (Mon) to allow enough time to drive to Carcassonne Center.